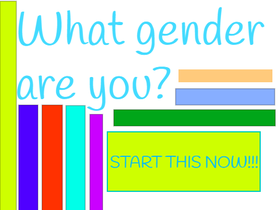 What gender are you quiz!!! SAVE THE WOLVES! REBUILD OUR COMMUNITY! My club just for friends! ATTENTION! I will be making intros for people. Make me: Laugh, Blush, Mad, Happy, Sad, Go Nuts!! !